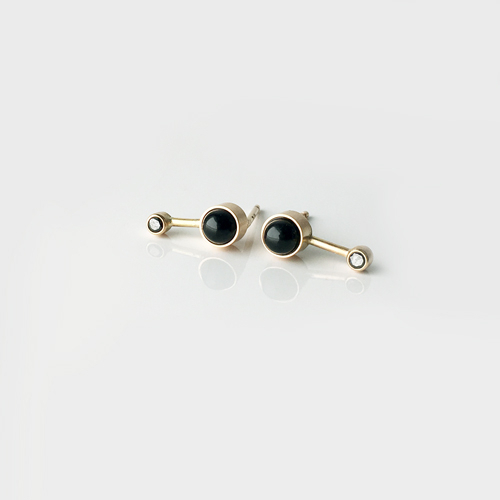 These post earrings have a 4mm black onyx cabochon with a .04ct tiny black diamond. They measure about 1/2" long. 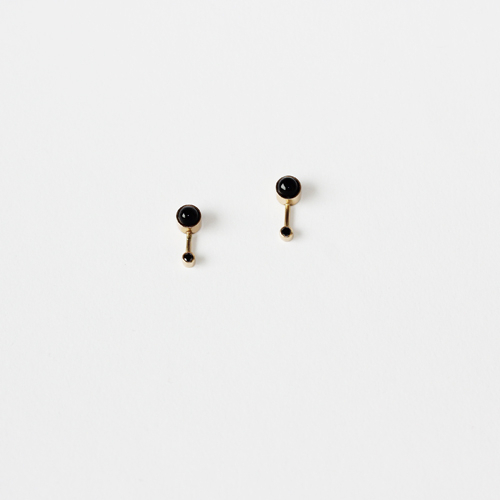 Small, sweet and easy to wear. 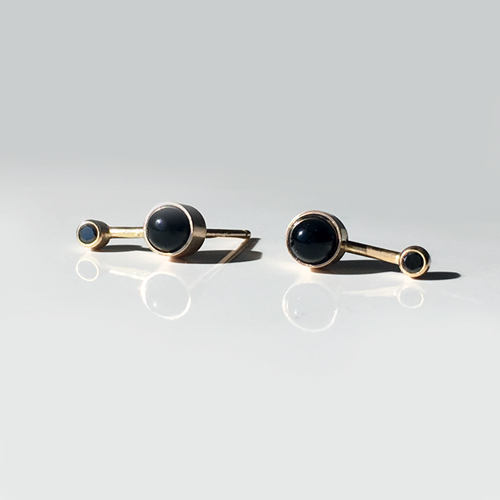 Available as shown in all 14k gold. Please email us with pricing on larger diamond sizes. Please click additional views to see more images.